Vomiting is a reflex protective reaction of the organism directed on gastric emptying its contents. This is due to the contraction of the abdominal muscles, to a greater extent by the diaphragm. The process is regulated by the vomiting center in the brain. The causes of vomiting are varied. In order to define them, analyze the nature of vomit. They come in different colors and contain admixtures of undigested food, mucus, blood, bile. This is the most common causes, in which there is vomiting. It develops, usually after a meal and is associated with inflammatory processes of the mucosa. With the indigestion experienced by every person. It is due to heavy or bad food, it can also happen with overeating. Vomiting in this condition once. After it is always noticeable relief. The General condition is satisfactory. The person after 1-2 hours can safely return to your normal lifestyle and daily routine. Vomit contain pieces of products and mucus in small quantities. First aid is to abandon the use of any product for 2-3 hours to give the stomach a break to recover, to withdraw to the end of the day from physical activity. If it happened in the workplace, and the activities associated with physical activity, it is possible to take short breaks (5-7 minutes) every hour. OKI or gastroenteritis – a common and dangerous cause. One of the main symptoms – frequent vomiting, which occurs as a result of the defeat mucous membranes of the digestive tract by pathogenic microorganisms. The most frequent pathogens that lead to this condition, Escherichia coli, Staphylococcus aureus, dysentery, cholera, typhoid, botulism. 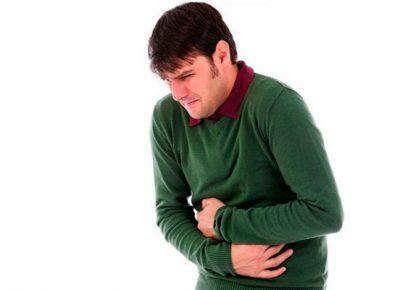 Gastroenteritis when vomiting is repeated, it is hard to bear man, degrades overall health, greatly dehydrates the body. Associated symptoms – diarrhea (sometimes up to 15 times a day), high temperature, intoxication. Vomit and stool may contain large amount of mucus, undigested food, severe diseases of the – blood and pus. The main task in helping the victim is to prevent a critical dehydration. For this the patient should drink at least 4 liters of water a day. Rapid loss of fluid will lead to high levels of toxins in the blood and, as a result, poisoning of the brain and stop the work of the kidneys. The reason may be the enzymatic deficiency of the pancreas. A lack of enzymes – protease, amylase, lipase, steapsin, nucleases. This leads to the fact that the incoming food is not digested fully, not split into proteins, fats, carbohydrates and, consequently, not absorbed in the intestine. Vomiting occurs after a person has eaten fatty, fried, smoked food. 1-2 hours to develop the typical symptoms – nausea, constant vomiting (every hour), single liquid stools. At first evacuated from the stomach the food, then vomiting of gastric juice. Such a condition happens in acute pancreatitis or exacerbation of chronic form of the disease. Another functional disorder – violation of the production of bile, obstruction of outflow, its reflux into the stomach. Happens when inflammation of the gallbladder (cholecystitis) or the presence of stones, obstruction of the bile ducts (dyskinesia), liver inflammation (hepatitis). The patient to arrange fasting the first days after the attack. Within a week to appoint a fasting diet to reduce inflammation. In order to relieve the pancreas, daily with a meal, take enzymes – Pancreatin, CREON, Mezim, festal. No-Spa with vomiting bile show when there is pronounced pain in the right hypochondrium. It removes spasm of smooth muscles and ease the condition. 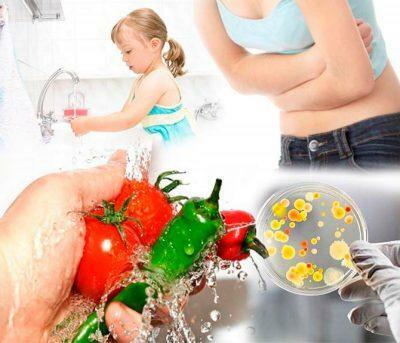 Causes of vomiting – entering the body of toxic substances. Contributing factors – disregard safety when working with toxic substances, accidents, poisoning from household chemicals. perforation (rupture) of the walls. In the body of the victim trigger protective mechanisms and there is vomiting. If toxic substances absorbed through the respiratory tract, of a person sick. If the retching is a sign of brain damage. When chemical poisoning it is impossible to wash out the stomach. This will increase the extent and area of the burn. Constant nausea and vomiting are systematic overdose of drugs. The reason – failure to comply with treatment regimens, an independent increase in the received dose. This is especially true for patients who take neuroleptics – drugs for insomnia, migraine, mental disorders. These drugs can cause withdrawal syndrome – dependence, which requires increasing the dosage. The reason for that person there is a constant vomiting, there may be irritation of the vomiting center, which is located in the medulla oblongata. Once in the body, alcohol is quickly absorbed through the walls of the digestive tract into the blood and rushes to your brain. If you exceed the permissible norms of consumed alcoholic beverage intoxication develops. Incurred vomiting associated with the penetration of ethanol in the stomach, and poisoning of the brain. Depending on the degree of intoxication, it can be single or multiple. Vomiting indicates severe poisoning. 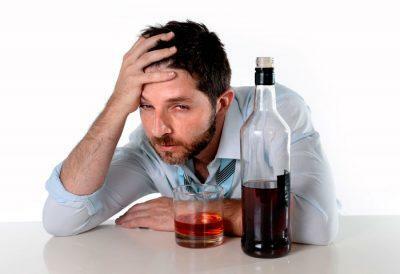 Alcohol destroys blood cells and brain, leading to oxygen starvation. In this case, the retching – the harbingers of respiratory and cardiac activity, until they stop. Infectious diseases – meningococcal disease. When ingested, the pathogen multiplies rapidly. At his death stand out endotoxins, which rapidly destroy the blood vessels, mucous membranes and often cause the development of infectious-toxic shock. Symptoms – a sharp pain in the head and eyeballs, vomiting, high sensitivity, irritation to light, sound. Concussion – sometimes with bruises, bumps, collisions. Factors – domestic, sports and industrial injuries, criminal incidents. As a result of impaired functionality of neurons. Symptoms – vomiting, shallow and rapid respiration, slow heartbeat, impaired memory. Compression of the brain occurs as a result of filling the cranial space with the blood, cerebral spinal fluid. Infringement of the brain – a life threatening condition. It develops as a result of mechanical injury. Signs – repeated vomiting, severe headache, psychomotor agitation, high blood pressure, epileptic seizures. Nausea, vomiting, pain in the occipital region are signs of a sharp increase in blood pressure to critical numbers. The instability of the circulation in the brain, increased tension of the blood vessels affects the vomiting center. Systolic blood pressure over 200 mm Hg. article the patient can start strong repeated vomiting. Accompanying symptoms – fever, headache, swelling of the face and extremities, sudden prostration, a semiconscious state. 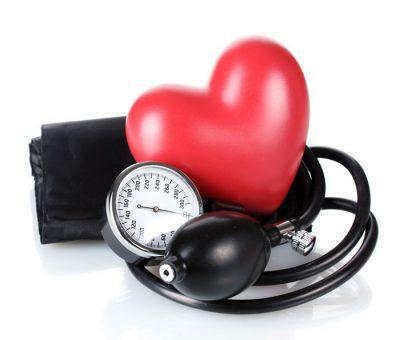 The emergence of hypertensive crisis contributes to stress, nervous breakdown, weather conditions, physical exertion. In children causes of vomiting depend on the age characteristics. In infants with frequent regurgitation from overfeeding. Or as adaptive response to new conditions of functioning of the body. In infants vomiting for no reason is common. Congenital abnormalities of the internal organs of the digestive system. Immature vestibular apparatus – motion sickness in road transport. Dyspepsia food, not age appropriate, inappropriate baby food, improper introduction of complementary foods. Vomiting as a reaction to the ingestion of pharmacological preparations. Foreign body in the throat, esophagus or stomach. The identification of the causes of vomiting allows you to determine what to do in a particular case, what measures to take to eliminate and prevent symptoms.